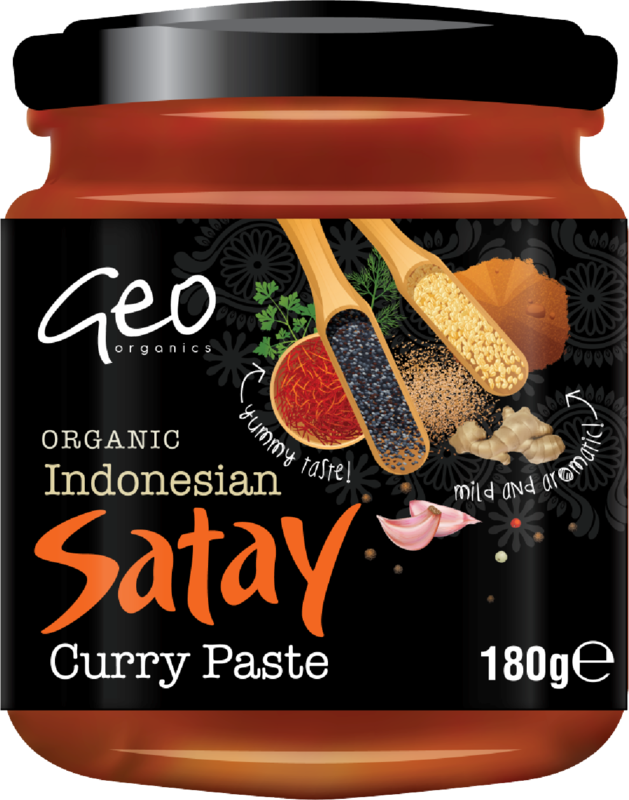 This is the second curry paste I’ve tried by Geo Organics (the first was their red Thai curry paste, which is so good: recipe here) and it did not disappoint. In fact, it is so good I’ve been telling almost everyone I know about it. I made a curry using the paste, coconut milk, tofu, courgettes and carrots and it was out of this world, I’ve been dreaming about it ever since. All of Geo Organics’ products are vegan, organic and made with ingredients you will recognise. 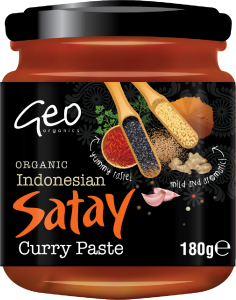 I can’t wait to try more of their range and will most definitely be stocking up on the satay paste. No self-respecting BBQ’d veggie burger sgould be eaten without a creamy dollop of Geo Organic’s new range of vegan mayonnaises. These tange eggless mayos taste like the real deal and are made from a blend of sunflower oil, apple cider vinegar, mustard seeds and a touch of agave syrup. Soya-free. Choose from Original (£2.19) and Chilli (£2.25) each 232g. With cheese and crackers on this picnic menu, there’s only one thing missing: chutney. 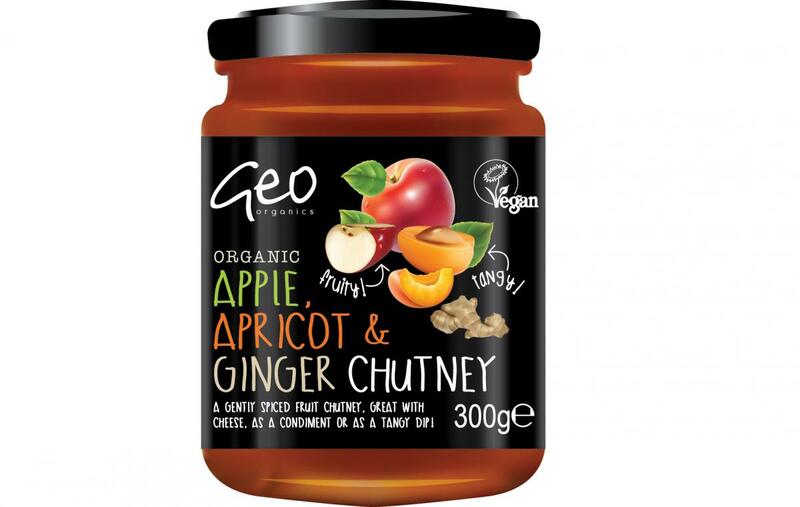 Geo Organics have the perfect solution with their Apple, Apricot & Ginger Chutney. Its sweet, tangy and gently spiced flavour pairs well with vegan cheese to complete any cracker combo. 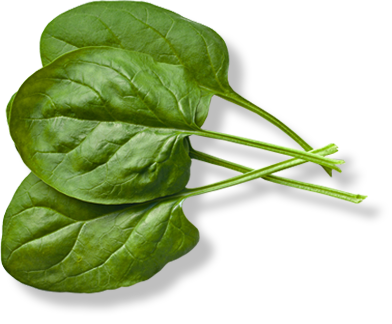 Find it online or have a look in your local health food store.